Though who will play the main event at the Las Vegas Motor Speedway is still under wraps, EDC Las Vegas' 2019 picture got a little clearer today. 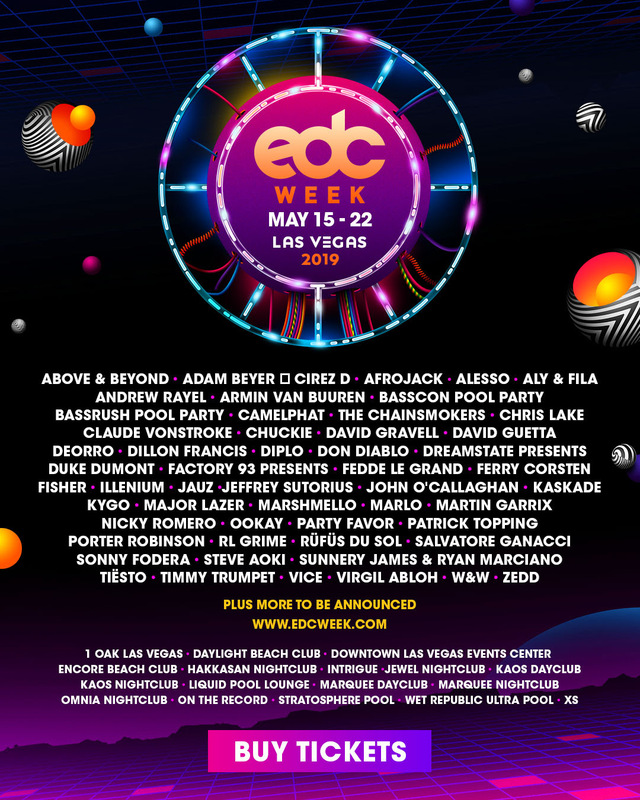 The festival have announced the lineup for EDC Week, which takes over Sin City May 15-22 with everything from morning beach parties to nighttime club raves to get the party started for EDC LV 2019. In typical EDC fashion, its a star-studded affair, headlined by the likes of Martin Garrix, David Guetta, Marshmello, Alesso, Afrojack, Armin van Buuren, Timmy Trumpet, Tiësto, and Major Lazor. It's important to note that the EDC Week lineup is always chalked full of artists who will also play the three day festival, so even if we still don't know exactly who is going to be on that lineup, you can guarantee a ton of these artists will be there. Find the EDC Week schedule here. EDC Las Vegas 2019 takes place 17-19 May at the Las Vegas Motor Speedway. Find more info on our EDC LV 2019 guide and book your festival experience here.